The Sony NGP is out later this year - but will it cost an arm and a leg? 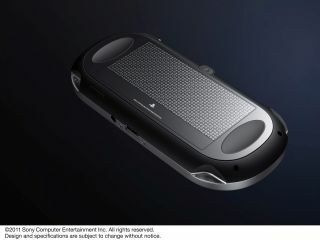 Sony is readying the launch of the successor to the PSP later this year, currently known as the Sony NGP, with Sony boss Jack Tretton already preparing consumers for what may well be a high launch price point. The Sony NGP and Nintendo 3DS are clearly going to be big talking points of this year's forthcoming E3 trade event in Los Angeles, with Sony's top US brass already readying gamers for a potential shock with the initial NGP pricing strategy. What makes a games platform? While many in the games industry are privately hoping that Sony doesn't make the same mistakes that it made with the PlayStation 3 launch – almost pricing itself out of the market – Sony Computer Entertainment America boss Jack Tretton has said this week that he doesn't "think price makes or kills a platform." Sony first unveiled the new NGP console back in January, when Sony president Kaz Hirai said it would be priced at a level which would be "well-received by consumers." Yet this month, Tretton told an interviewer that consumers are now "used to spending hundreds of dollars" on portable devices, citing Apple's iPhone and iPod touch as evidence that this was the case. "I think when you're buying a platform, when you're buying technology, you're hopefully buying a device that you're going to enjoy for many, many years," said the PlayStation boss, adding that "the amount of money you spend on the hardware is a relatively small percentage of the total investment." Tretton continued: "Something that's lousy, that's very inexpensive, is not going to be successful, and something that's pricey will ultimately find its audience if there's enough value there." In the murky world of consumer technology marketing, this talk is generally referred to as 'managing expectations'.